Format: ARC, paperback 378 pgs. "Heiress. Debutant. Murderer. A new generation of heroines has arrived. This action-packed steampunk Scottish fantasy is thrilling from beginning to end! Witnessing the tragic death of her mother has flipped Aileana’s world upside down as something is awoken in her, and she begins the life of hunting down the Fae. Stuck between the conformities of the period society, and living the life of being able to see, and kill faeries, Aileana finds out she is more than a girl out for simple revenge; she’s a Falconer. Aileana does, however, keep a couple of the Fae close in favors. Derrick, a pixie, lives in Aileana’s dressing room and mends her clothes for honey, but he definitely becomes more prominent throughout the book. Kierran MacCay instructs Aileana in combat and teaches her about the fae along the way. He becomes even more prominent as the book progresses and emotions run high. I absolutely love them both, even if they can be a bit difficult at times. As she closes in on the baobhan síth, the faery who killed her mother, a more urgent matter arises as it’s discovered the Fae from the underground jail is escaping to kill and takeover everything because of a weakening seal. Only a Falconer can re-implement the seal, and Aileana is the only Falconer left. I absolutely love the writing! 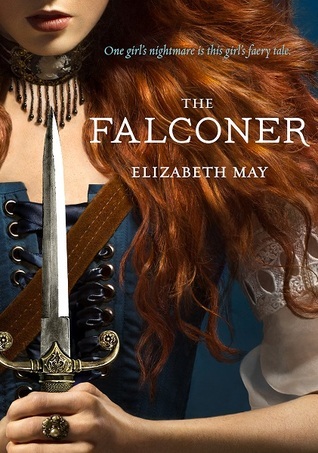 It’s such a page turner, and you can tell that Elizabeth May truly researched and cared for her craft. I love how well thought out the characterization of Aileana and how the world around her shapes her mind to become more independent and less oppressed than the other ladies of her time. I really got a feel for the environment and the strict society standards. Through all the excitement of the battles, alas we a left with a major cliffhanger! I feel like it stopped mid-denouement and it actually makes it even more thrilling, even if I have to wait another year for the next book. I’ll be marking my calendar and eagerly waiting with open arms for the next book in this mystical series!